We hope your holiday is filled with happiness. On this, our annual Turkey Day, I am thankful for the family and friends who make life enjoyable. I am in New Jersey, enjoying Thanksgiving with my closest loved ones! We go to the same local restaurant every year. It’s the one day that we are all together. My Norwalk friends include my Board of Directors and everyone who supports NancyOnNorwalk. Without your good wishes and financial contributions, I wouldn’t be able to keep this experiment going! I am thankful to Bob Welsh for finding the Institute for Nonprofit News, and their NewsMatch program. It’s truly amazing that your donations can be doubled at this time – up to a total of $25,000! Imagine what independent journalism could do with that type of support. I am also thankful that the Board decided to make me take four days off. All comments will take longer to appear over the long holiday weekend, so that our volunteer who reviews them can enjoy some time off too. Thanks for your understanding. The Board has in recent months been easing my pain, which, you are probably aware, is tougher during the holidays. I have been encouraged to visit my mother and my sister, for whom I am both grateful, more often, and this helps. I also get to see my younger brother and my nephew on these visits. I occasionally frighten a deer while walking the property. I’m grateful for my son, of course, and for Claire Schoen, Gerry Werner, Steve Mann, Dede Farnsworth, and John Levin, and so are my cats! They just don’t know it. A plus: the recent company of John Levin’s cat, Harriet. She’s the best. May all of this continue. To be honest, there are days when I wonder how it can – and yet you, dear readers, continue to surprise me. It’s because of your ongoing and generous support that this Nancy will keep the light shining on our fair city. Since Mark would have left this post in previous years, I’m going to assure you that he’s pitching in on this from the other side, saying this along with me: May you enjoy your holiday, as I am mine. 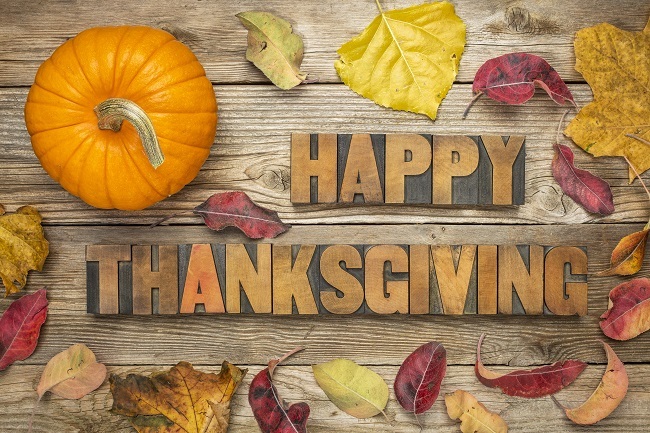 Have a pleasant, safe, and Thankful holiday, Nancy, the Board and all of our faithful followers. Thanks for all you do! I’m grateful for your reporting that keeps me in touch with my old city while we enjoy our new home in Charlottesville, Virginia. Keep up the good work! Happy Thanksgiving to you Nancy and everyone at NoN, and your sincere words were appreciated. I always think of the awesome film Coco, when missing folks who have left us including my Mom and sister Susan over the last 18 months. Their spirits live in our hearts, and we celebrate them every time we remember them. May your good memories bring you comfort, today and every day. Its rewarding to see we can agree on and enjoy and share the same things best wishes to everyone. Nancy and Eric enjoy your holiday along with the Board and the crew.